Following the granting of planning permission this summer, Wilton Developments has given architects the green light to prepare the detailed design and tender packs for Phase 2 at its Latitude Park scheme in Wakefield. This work will ensure that new industrial and warehouse buildings could be delivered within 26 weeks of an occupier being secured. Set on a four acre site, adjacent to Junction 31 of the M62, unit L31A can offer 34,000 sq ft of commercial space and unit L31B at total of 43,000 sq ft. The developments offer up to ten metre eaves heights, as well as high quality office space accommodation, secure yards and parking. 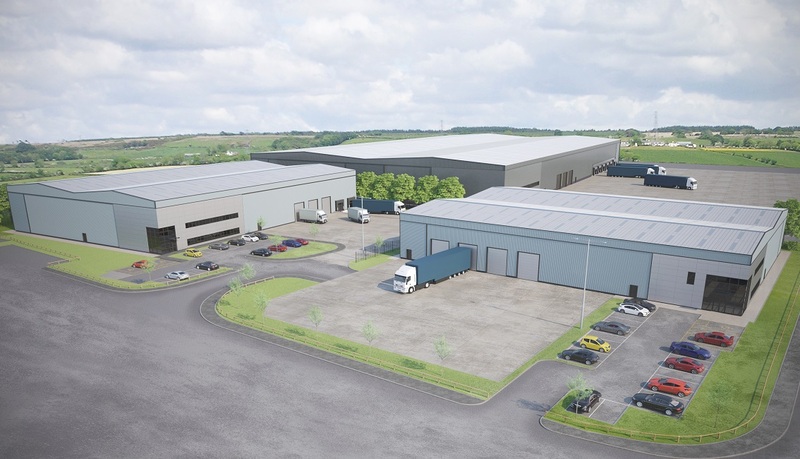 Jason Stowe, Managing Director of Wilton Developments, said: “The existing availability of high quality industrial and distribution buildings on West Yorkshire`s M62 corridor is limited with demand outstripping supply. This will be Wilton`s second flagship development at the Wakefield Latitude Park site, just off Junction 31 of the M62. Its first development sold for £9.2 million within months of its ten-year lease to Scottish logistics firm Malcolm Group being announced. The scheme follows on from the successful Connex 45 scheme on the Leeds EZ and the currently under construction Kinetic 45 scheme also in the Leeds EZ. The Latitude site is an extension to Wakefield Europort and is home to key brands such as Haribo, Asda, Argos, DHL and TK Maxx.